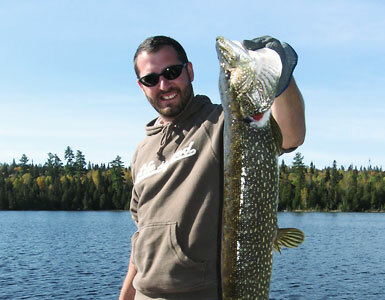 Fishing Trips at Lost Lake Wilderness Lodge- Ontario's BEST all Inclusive.. Fishing trips at Lost Lake Lodge, where fishing opportunities abound, offer our guests four different species to satisfy even the most discriminating fisherman. With a diverse set of waterways, we offer our guests 8 unique and remote lakes for you to explore. 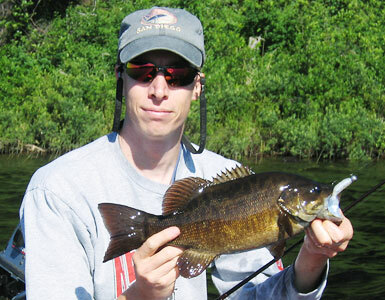 Our lakes are abundant in Walleye, Northern Pike, Smallmouth Bass, as well as Brook Trout. 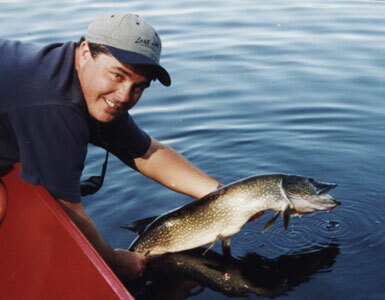 Conservation fishing is promoted on all of our lakes. For over 30 years, our guests have been able to enjoy some of the best catch & release fishing around, as well as some delicious shore lunches. This practice translates into some very large fish now and for generations to come. 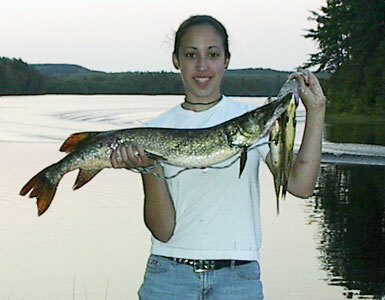 We are the only lodge that resides on this chain of lakes and we limit our guests to 20-25 per week. This way, we are able to control the fishing pressure. 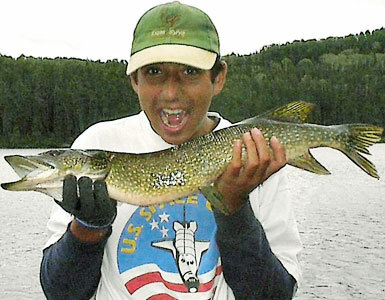 Imagine the chance to fish your very own private lake for trophy sized catches! 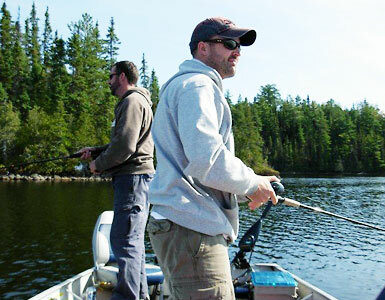 At Lost Lake Wilderness Lodge we want to give you an incredible fishing trip, every time. Lost Lake Wilderness Lodge has combined the best of two worlds. For over thirty years, one lake has been an honorary Catch and Release lake while the other 7 where based on conservation fishing. 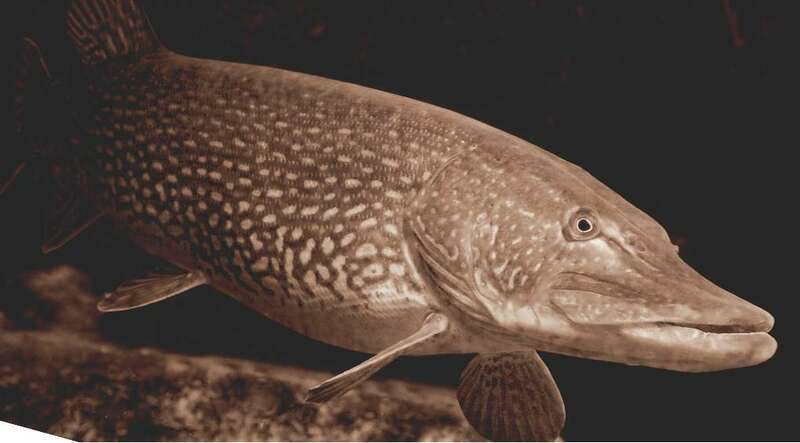 We have recently moved in the direction of enforcing catch and release on all the lakes, which this translates into very large Northern Pike, Walleye, Bass or Trout for picture taking. We promote as much catch and release as possible, but we also like to see our guests keep a couple for the frying pan while here. We ask that no fish leave camp. With our policies and diverse choice of waterways it ensures satisfaction for everyone. Our 14′ boats on Lost Lake come complete with 9.9 HP outboards. One is supplied for every 2 full fare Guests. 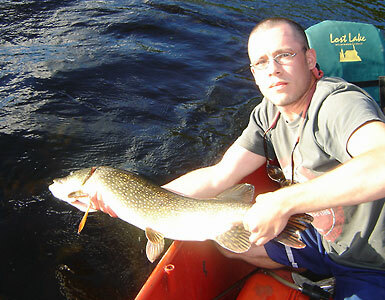 All gas, life jackets, anchor, paddle, minnow bucket, landing net, live minnows or worms and bailing bucket are supplied. All boats have padded swivel seats and a mandatory boater’s safety kit is also included. You will notice from year to year, we will replace older boats with new ones, in an attempt to keep our fleet up to good standards for our Guests to enjoy and appreciate. 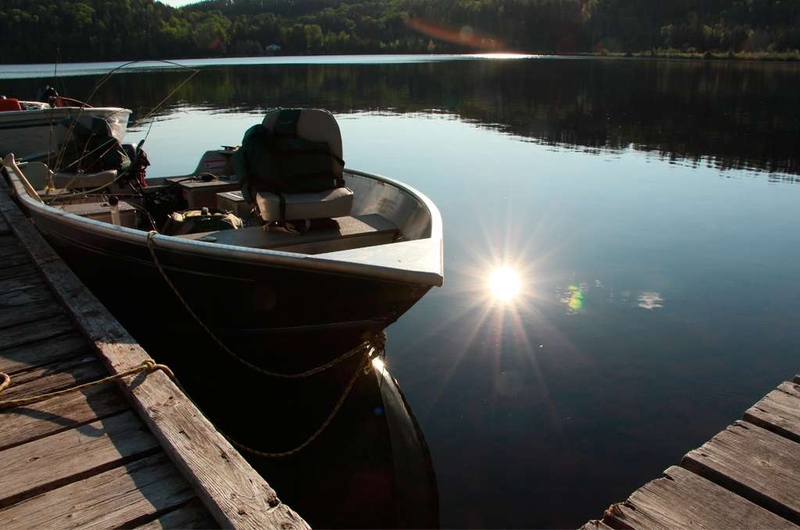 The remote lakes are equipped with new 8 HP Yamaha 4 stroke motors and boats that are 14′ long. All remote lake boats also feature padded swivel seats to ensure your comfort. We offer a daily shuttle service to other drive-to lakes by either our 6 seater Polaris Ranger UTV or by truck for Guest convenience and comfort. New boating regulations do not allow children under 17 years old to operate power boats. Regulations require a safety kit in each boat. These are supplied for your use. A short (10 minute) boater’s safety course is mandatory prior to being assigned your boat. Rates do not include applicable taxes, or licenses. Includes: Cottage with a all amenities, three meals per day (breakfast & dinner served in dining room packed lunch), boat & motor (paddle, life preserver, anchor and net included in boat), ALL GAS, live bait w/containers, wireless internet, and lake maps. and net included in boat), ALL GAS, live bait w/containers, wireless internet and lake maps. Please note that licenses will no longer be sold at the lodge, however you will be able to obtain them prior to your visit. 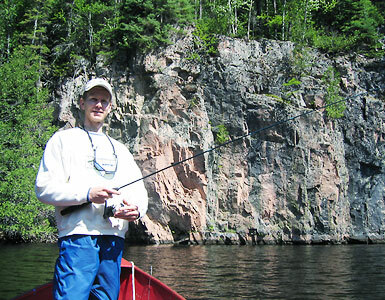 In order to buy a fishing license, you need to have an Outdoors Card. If you go the online route, your e-license will have a temporary Outdoor Card number validating the license until you receive the permanent Outdoor Card in the mail, usually about 20 days later. 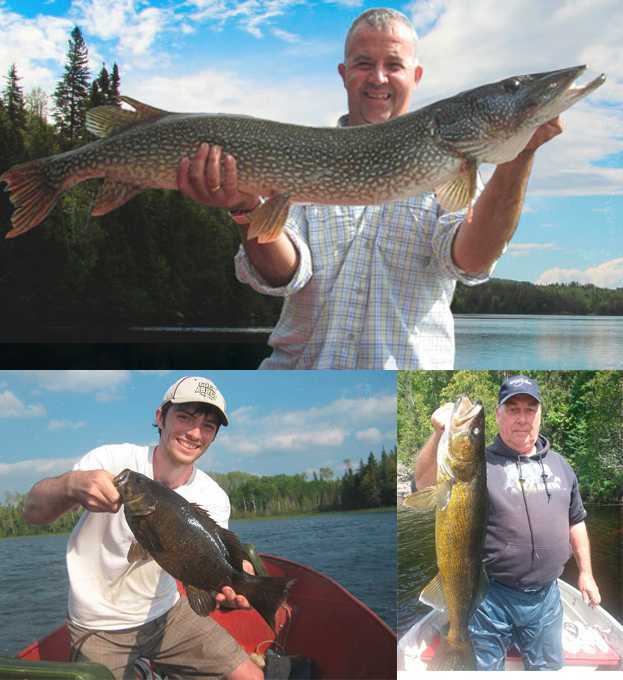 If you already have the Outdoors card, getting a license is a matter of visiting an authorized issuer (Wal-Mart, Canadian Tire) or applying online @ https://www.ontario.ca/page/fishing and printing yourself. 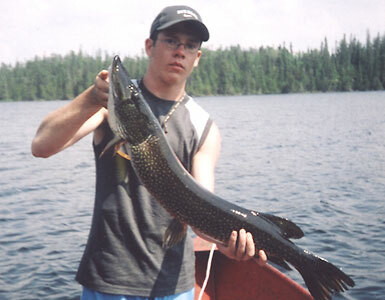 Non-Canadian residents need an Outdoors Card to fish in Ontario if they are 18 years of age and over. (NOTE: Non-residents 65 years of age or older are not exempt from requiring a license). 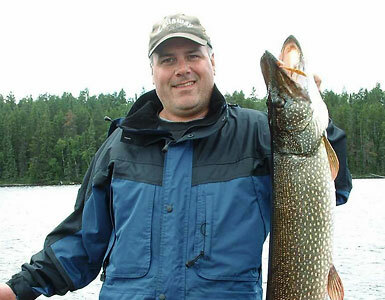 Non-Canadian Residents will purchase the 8 Day Conservation Fishing License.